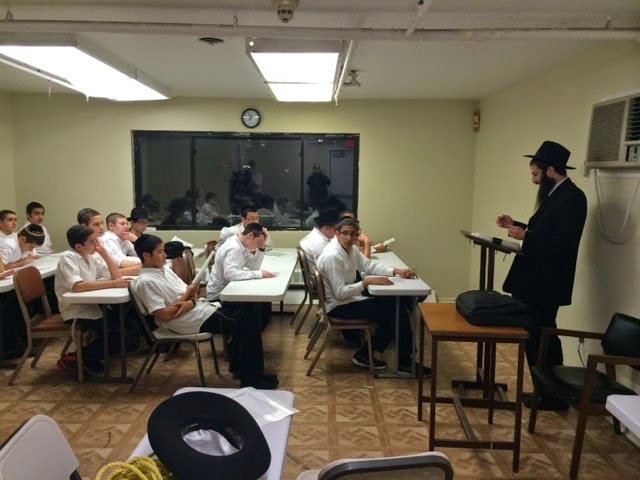 The new Mesivta Lubavitch of Monsey opened its doors on yesterday, 7 Elul, to parents and talmidim of Shiur Alef. Families had the opportunity to meet with the Hanhola and teachers of the Yeshiva, become familiar with all aspects of the Yeshiva, and help their sons move into to the Yeshiva’s comfortable and newly updated dormitory. The Menahel, Rabbi Landa, gave beautiful opening remarks, stressing the connection of the new Yeshiva to the establishment of Tomchei Tmimim which will be noted this coming week on 15 Elul. The Bochurim, which include local Monsey boys, as well as families from out of town, jumped right into the new Zman with seder Hayeshiva beginning right after Mincha. Go Mendy!! Won't forget he's awesome late night bull sessions and amazing intimate farbrengins before he was even married.. Good times..